Introducing one latest compact dual-battery mod from GTRS, P222.The P222 is powered by dual 18650 batteries, and supports a maximum 222w power output. 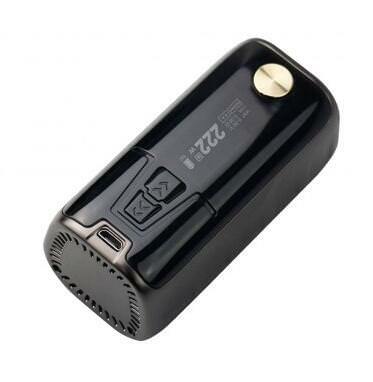 The whole size of this mod is 82mm in height, 42 in width, very compact for easy carrying. Moreover, P222 features an unique Taste Mode (Norm/Soft/Hard/User) to meet your different vaping needs with optimal flavor. Its memory mode help to remember your finest flavor set, which ensures a convenient operation. The GTRS P222 is a good choice for your daily vaping.